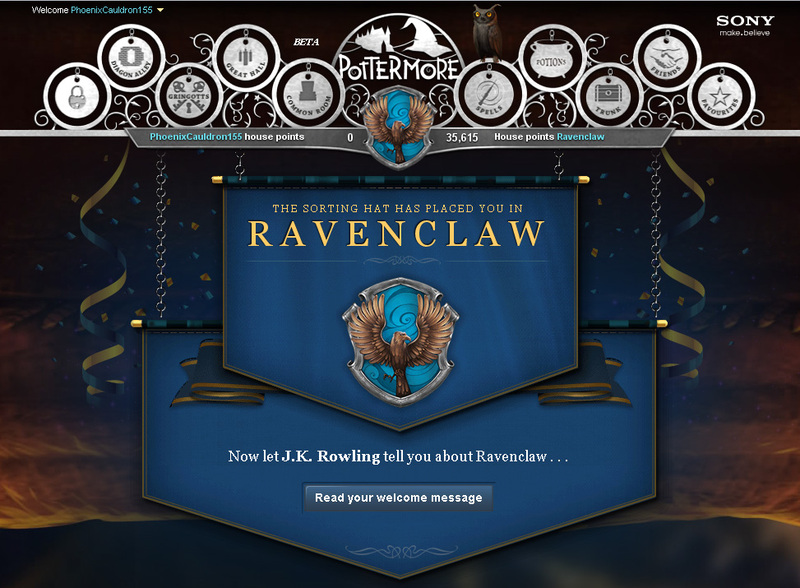 A week ago I received my welcome email into Pottermore. I was so excited and it's been so neat to explore Harry Potter and the Philosopher's Stone with all the added information that J.K. Rowling developed but never found a place for in the book. The key moments of each chapter are beautifully illustrated and are interactive. I was especially excited to receive my wand from Ollivander's: Alder and Dragon Heartstring, Twelve and a half inches, Unyielding. 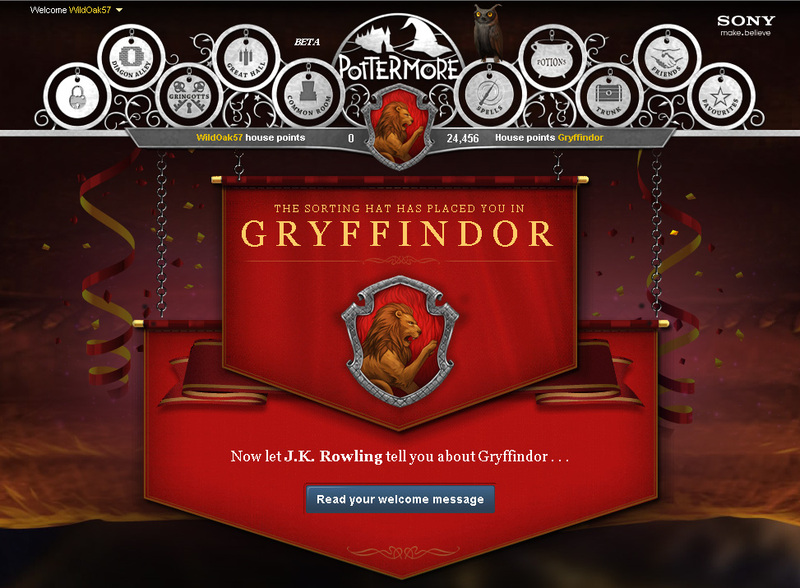 Then I was sorted into Gryffindor House, where the bravest and boldest end up. It's all so exciting! I've been loving this whole experience connected to the book. 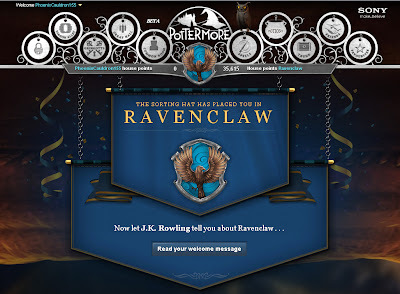 Jeni just got her welcome email today and was sorted into Ravenclaw House. 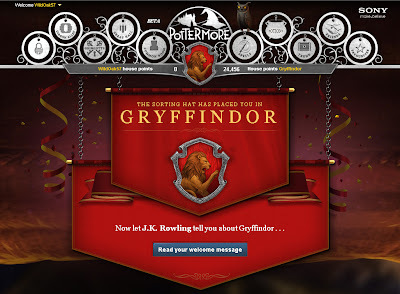 I've been teasing her over the last several weeks because we took an online sorting quiz and her answers aligned her with Hufflepuff, but that's not the house she wants to be in. Well, now she got her wish and is in the house where all the cleverest witches and wizards end up. Oh, and her wand from Ollivander's is Hazel and Phoenix Feather, Ten and three quarter inches, Hard.